Update (Feb 2016): This course is currently unavailable. The good news is most of the material covered is now part of the Proven Amazon Course (PAC) under the International FBA section. So pay just $299 for PAC and you get what is taught in this $699 course as part of the deal! Some of you might have heard of Barrington McIntosh. 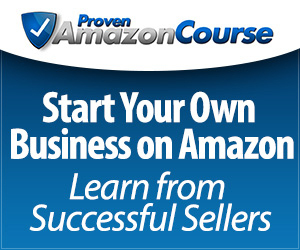 Maybe he was one of the reason you decided to join the Proven Amazon Course and start selling on Amazon. This was definitely the case for me. His situation is something I identified with since Barrington lives in Jamaica but sells successfully on Amazon in the US and UK. First let me say this course is not cheap. It's a one-time $699 payment or $249 over 3 installment (totaling $747). Neither would I recommend it for someone who has not started selling on Amazon. Thirdly, selling in the UK involves Value Added Tax (VAT) compliance (VAT is UK sales tax) which must be filed quarterly. The good news is VAT is paid by the consumer so once an item is sold, you can claim VAT back on the cost of your goods. Finally, since VAT is pretty complex, you will most likely need to outsource accounting to a UK accounting agency. Most of us use Accordance which is specialized in tax for international sellers and has a special account with those of us who sell on Amazon UK- this is quite a substantial cost of GBP1600 annually. Of course you could also focus on Canada which has great returns too, with low competition and less hurdles to overcome. Better yet, why not sell in both! Which this course will set you up for. I personally think barriers to entry are great and part of the reason why there is far less competition on Amazon UK. In fact for most of the products I'm sending over, there isn't even a single FBA seller! Better still, several of the merchant fulfilled sellers are shipping from overseas with some taking weeks for delivery! The coaching is great for those who have gotten the hang of selling on one Amazon platform and are looking to expand their sales channels through Amazon's platform in other countries. The course is especially helpful for US or UK based sellers looking to sell across the pond as well as in Canada and vice versa. The focus is slanted a bit more heavily towards selling in the UK, which is to be expected considering most of the members are US sellers who want to sell in the UK and Canada. Even more importantly, is the fact that prices on Amazon.co.uk and Amazon.ca tend to be considerably higher than prices on .com (Just search from some of your existing SKUs on Amazon UK and CA. You might be surprised!). It is also worth noting that once you list and sell via FBA in the UK, your products become available by PRIME and Super Saver Shipping to buyers in all 27 countries of the European Union (EU)! Most importantly is the the opportunity to get to know Barrington who will spend time to personally help you with your unique issues, if you ask. This is priceless in the long run. So if you are pumped to sell in new frontiers, have the capital to learn the ropes from Barrington and the determination to put what you learn into action, you could be making 10, 30, 60 or 100 times more than what you spend on this course. In fact several students have already achieved several hundred British pounds (that's the currency not weight ;)) in sales during the 6 weeks of the course.